Take a look behind the scenes and meet Jeff Coombs: Why did you start your business? Even as a kid, I loved making films with my friends as fun as a way to capture the moment and our ever so awkward youth. In college, I realized I had a keen talent in film production and editing, switched my major, and the rest is history! 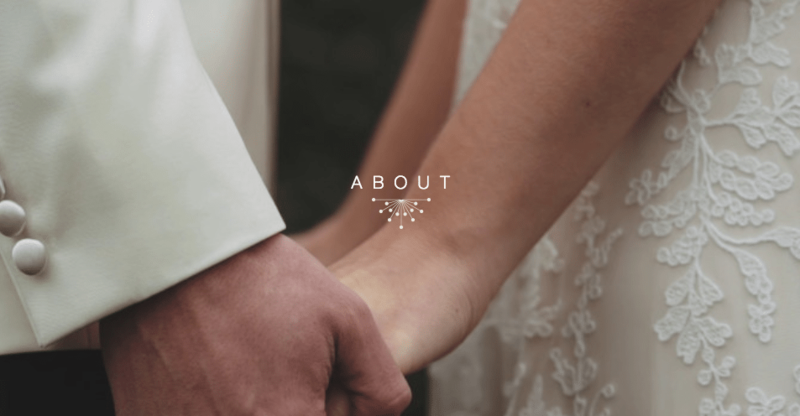 I worked for a local production company before I realized that I wanted to take my love of telling stories to couples and brands. I wanted to put my own stamp on my final product so I knew I had to work for myself. With weddings, the idea of capturing the biggest day of a couple’s journey together was something that really intrigued me- and I haven’t looked back! Bringing an artistic storytelling approach to a field that has often been a “canned product” is what has kept me engaged and ever advancing in cinematography and I have no desire to start slowing down. What is unique about your business? Our clients will never have a stuffy or out of the box experience with us. When we meet with our clients, we focus the most on fit since you don’t want a stranger putting their perspective on your story. By practicing openness with our clients, we can focus on what makes us unique and how that will translate to a unique storytelling film for each of our clients. The Splendor Films experience is much more than just a film. We want to make sure that the connection is there so our clients never have to worry about a fake experience. We have already perfected our craft from a technical perspective, and a lot of other companies have too. But we take that expertise and adapt and customize it to tell the bespoke story of our client true to who they are- whether it is a local bakery, a national technology brand, or a couple’s love story. We want to get to that unique core, honesty and genuine part of what sets our clients apart from the rest- and we rely on our filmmaking expertise to convey that visual experience. I am a 2000’s indie fanboy at heart so you will find Brand New, Taking Back Sunday, Something Corporate, and Fall Out Boy on my most played. In my recents list, I also mix a lot of trap and electronica so you’ll find M83, Chvrches, Ghostland Observatory and any remix that has a good bass line to it. I guess you would call it an Austin meets my high-school-persona vibe. In terms of our style, we often look to classic cinema styles for inspiration. There is just something so striking about the way the way unadulterated film looks, with framing, the grain, the light- it’s so enchanting to honor good moviemaking at its core. We are nerds like that, lol. Why did you decide to work with Doodle Dog? From the first time we met Nikki, we felt welcomed and were impressed by how sincere she was. We like working with people who have a passion for their work but also show that same passion in their relationships with others. On top of that, the Doodle Dog team took the time to get to understand us, our passion, and our vision before we even started the process. 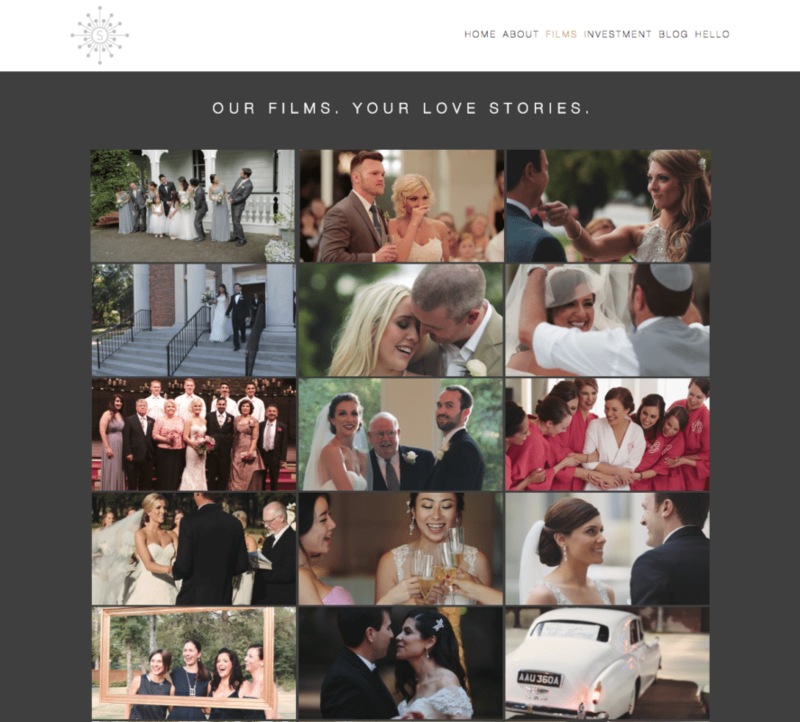 By appreciating the core of who we were, they were able to translate that into a visual statement that held true to the Splendor Films experience- and that is so important to us as a first step to telling our story and connecting with our future clients. Their portfolio speaks volumes in terms of Doodle Dog’s flawless execution and didn’t disappoint upon the unveiling of the work they did for Splendor Films. Why did you feel the time was right to kick off this project? 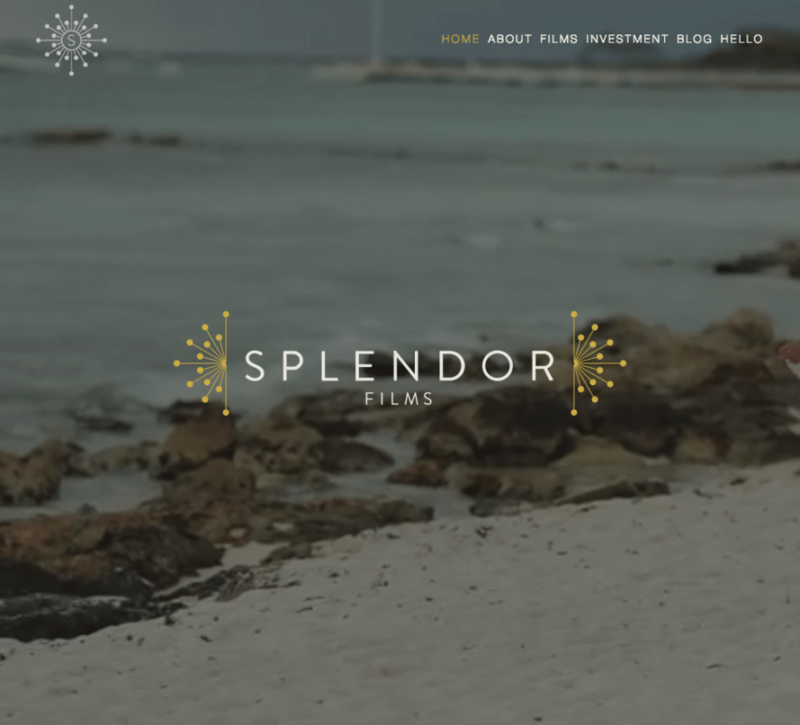 Our online presence and branding has always been an execution out of necessity rather than a customized focus for Splendor Films. As we’ve realized that what makes us unique is our connection with our clients and the way we tell their stories, we knew that we needed a presence and brand that conveyed that outwardly. 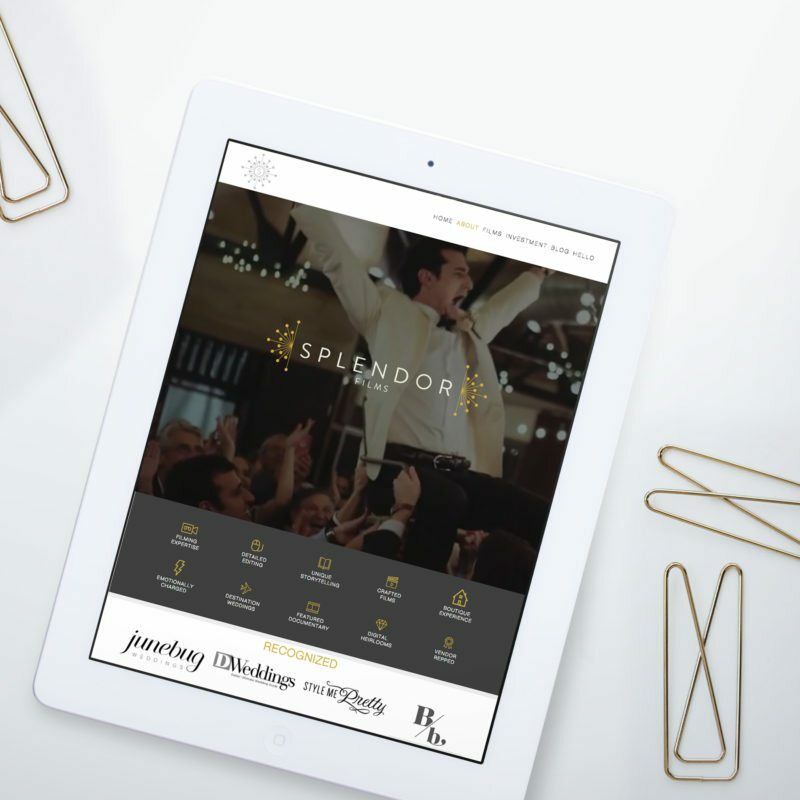 By using Doodle Dog to accurately represent our Splendor Films passion and artistic storytelling experience, we finally have a site and bespoke experience that aligns with the values of Splendor Films. What’s your favorite part of your new site? The summarized and customized content for what differentiates Splendor Films from others is one of our favorite parts. 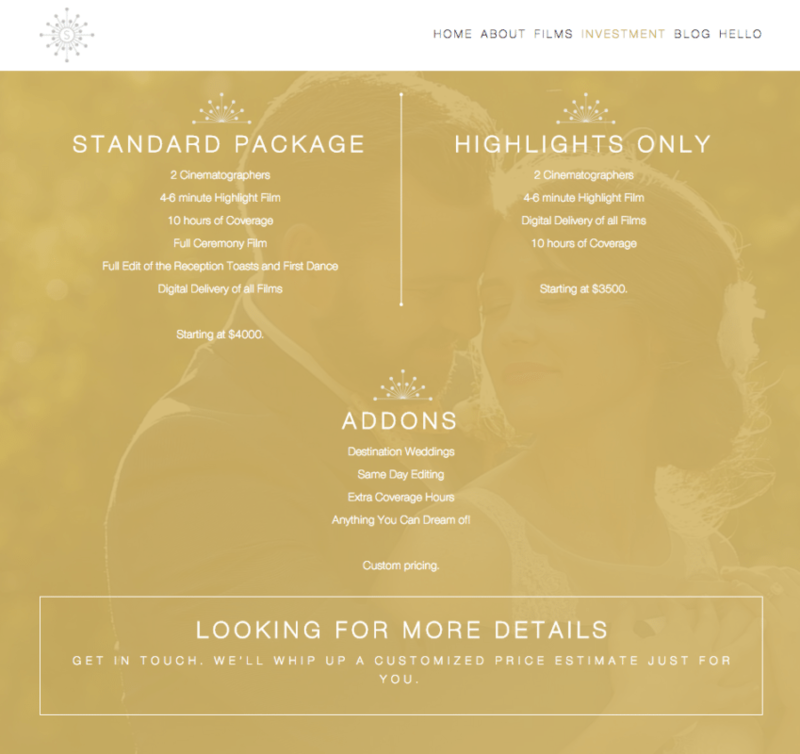 The simplicity of the icons and summary of two words per competency speaks volumes and makes it easy for clients to get a sense for “Why Splendor Films”? Plus, we love how easy it is to see our film work on the very front page. We finally get to spotlight our work at our first interaction with our clients! What advice would you give to someone considering a rebrand or relaunch? 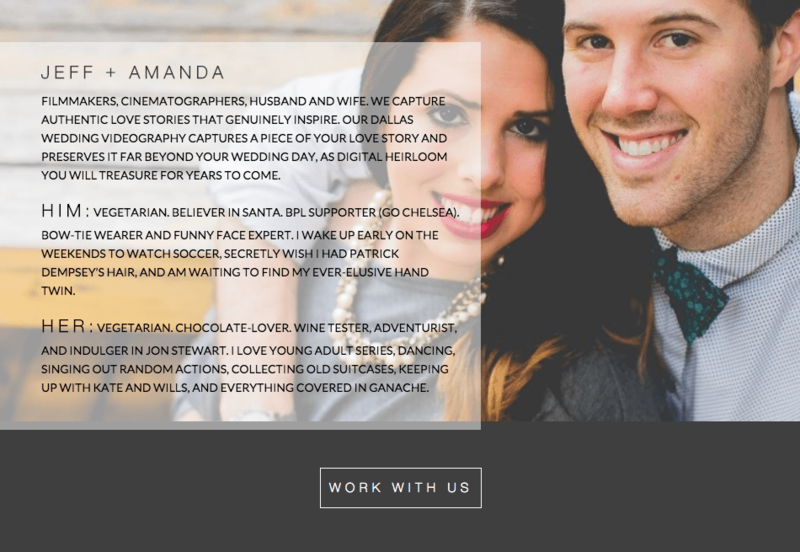 Don’t just fill out questionnaires or emulate someone else’s site because it looks cool. Take time to get to the core of who you are, where your focus is, and spend time with branding professionals who take the time to truly understand this (like Doodle Dog!). There is something to be said for simplicity in a world filled with constant noise. Doodle Dog helped us get to the core of who we are and adjusted our online presence to accurately and genuinely convey this to our clients. If you’re on the fence, just do it and take the plunge. Your future self will thank you for making the decision today. Rebranding ourselves to align with our vision for the Splendor Films experience was worth way more value than any advertising spend marketing spend. Thanks again to Jeff and everyone at Splendor Films. Working on your website was a privilege for us, and we’re excited to see how your business benefits from it.